South Korean Just Jerk dance crew mesmerized the judges on America’s Got Talent Season 12 on Tuesday, June 20, 2017. 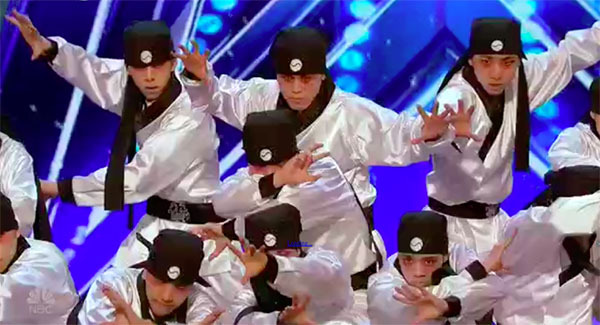 Dance group from South Korea is giving it their best shot on the America’s Got Talent stage. “You are by far the best dance crew in this season,” said Howie. “You took me to a place I’ve never seen before. You gave everything,” said Mel B. “We have not seen anything like this before. It was so in-sync, it was beyond so good,” said Heidi. “The originality amazing and it’s well rehearsed. This is the one I’m gonna remember,” said Simon. Just Jerk crew gets four yeses and they are moving to the next round of the competition. What can you say about Just Jerk crew’s performance on AGT Season 12? Share your thoughts and views on the discussion box below.